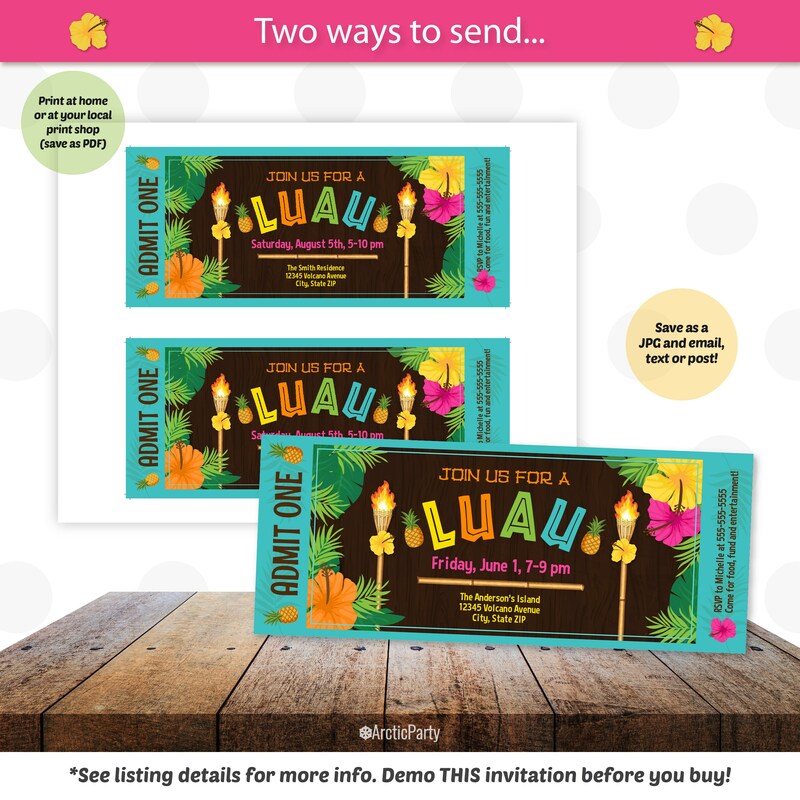 Luau Ticket Invitation - Luau Party Invitations - Summer Party Invitation - Luau Invitation - Hawaiian Luau Invitation - Edit NOW! 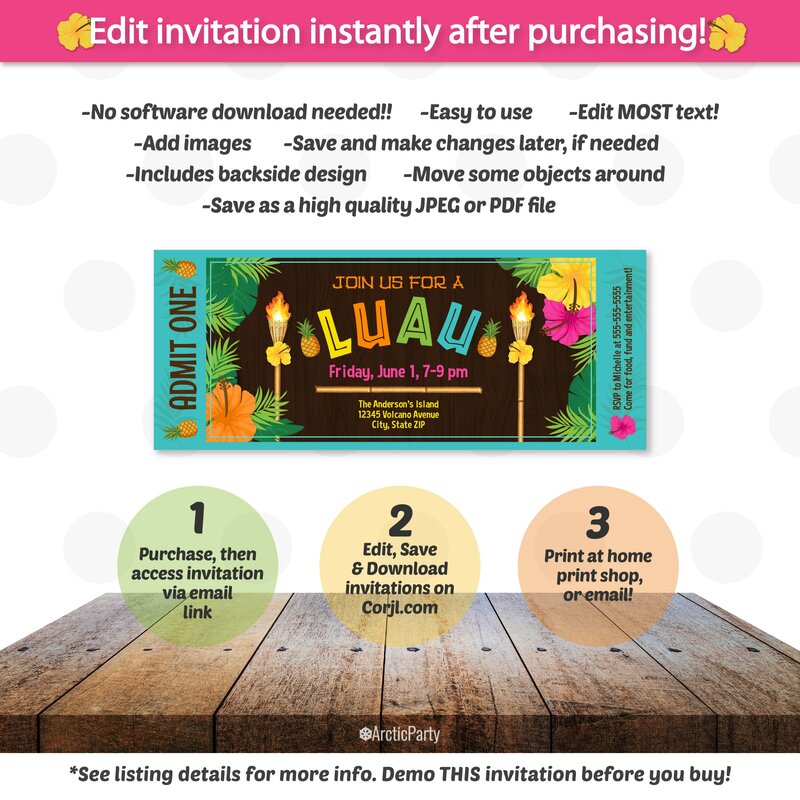 Luau Ticket Invitation Template! Backside Included. No waiting! Edit NOW from home using Corjl.com. 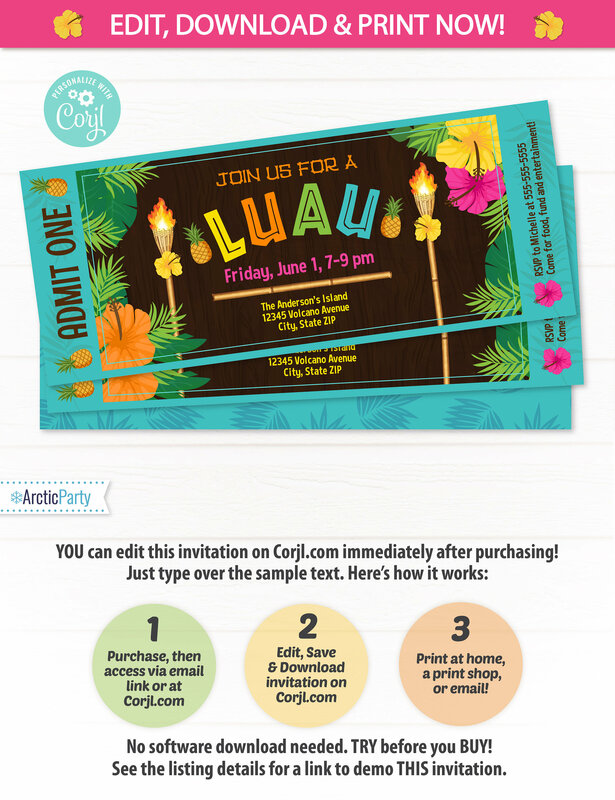 Invitation is 8x3.5 and will need to be printed onto white card stock from home or a print shop, like Staples, Office Depot or FedexOffice (save as a .PDF). If you want to email or post your invitations, save the file as a JPG. Please note that this invitation was NOT formatted to fit any standard photo-size.